Canvas @ YaleInstructor Guides SettingsHow can I see what the students see? There are 2 ways to access the "Student View" to determine what your course looks like from the student perspective. Go to the "Settings" area in your course and click the “Student View” button [A]. Go to the "Home" page of your course and click the "Student View" button [B]. 1. 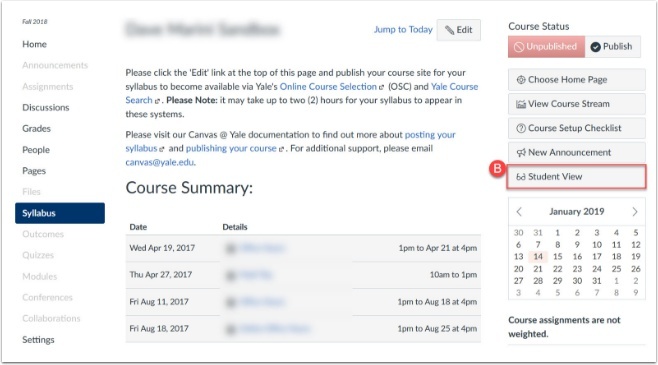 Once you have click the Student View button from one of the options above, you will be able to access your course as a fully functional "Test Student". 2. The Pink border around your screen will delineate if you are in student view. 3. To leave student view, click “Leave Student View”. 4. “Reset Student” will be if you take any assessments to ensure that they work. You can reset the student and resubmit the assessments. 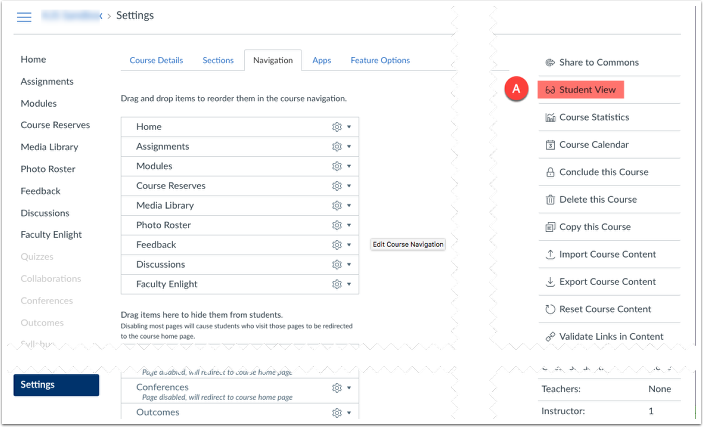 Zoom: You will see a bright pink border around the screen to indicate you are in student view.